These are great for young kid's. They will provide hours of entertainment and fun. 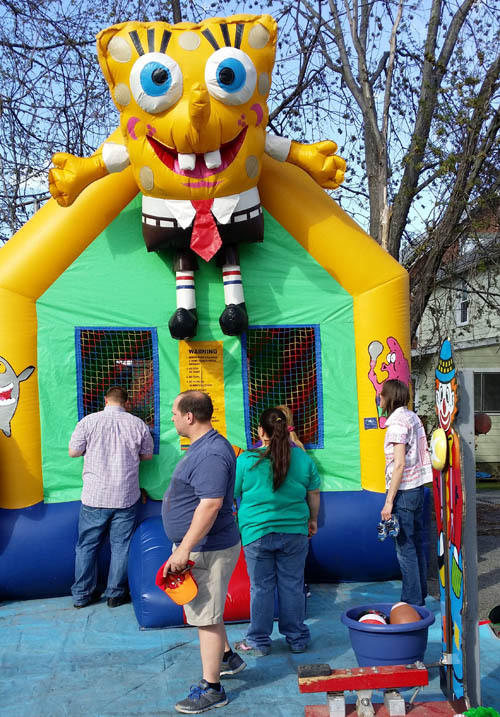 Let your children get a workout and enjoy a special occasion with their friends. 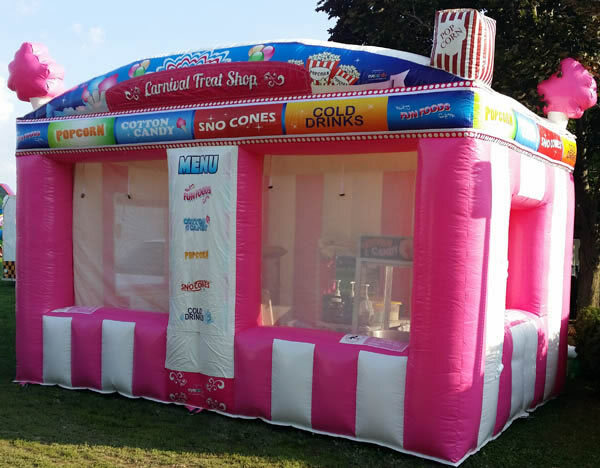 We can bring all your favorite fair food right to your event. Get lost in this spectacular wonderland of classic carnival mayhem. 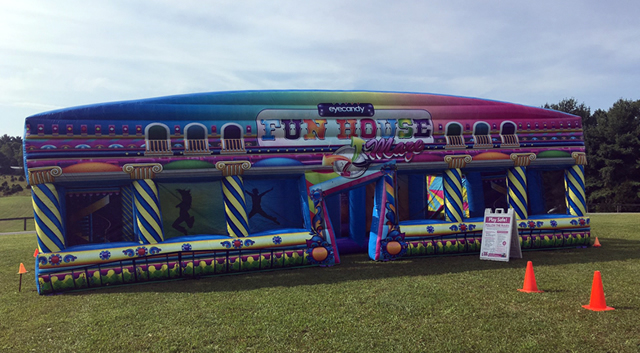 This fantastic maze makes for a great attraction at company picnics, school fun fairs and all types of festivals. The Haunted House Maze is ready for you! 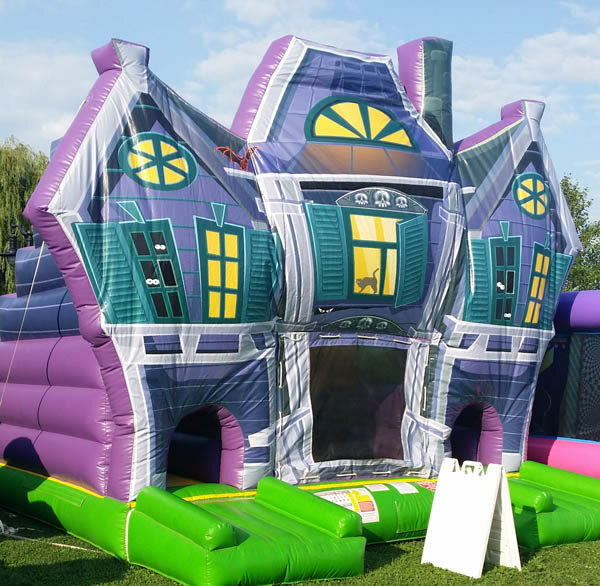 All ages will have a startlingly fun time in this ominous black, purple, and green victorian style haunted mansion. Watch out for the King Croc! This brand-new dual-lane slide is over 30 feet long and is sure to thrill all ages. 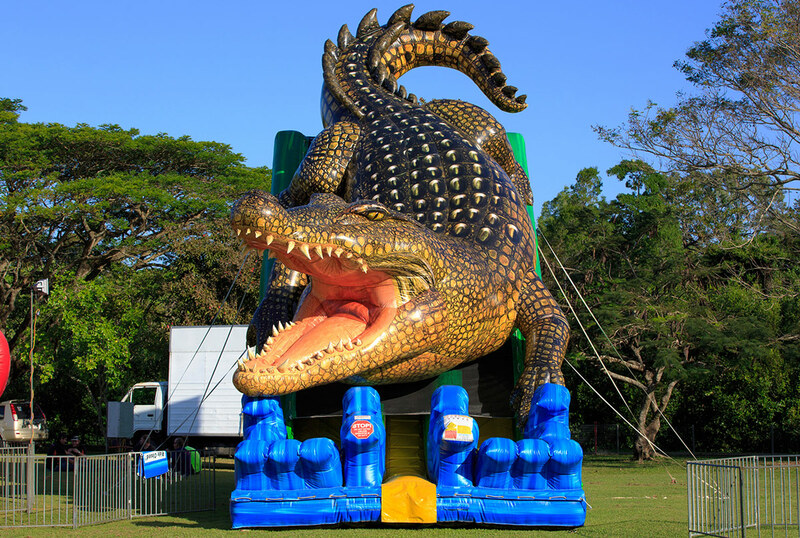 Guests be amazed by the size and brilliant colors on this awesome crocodile slide. It is not a small little alligator, it is King Croc. 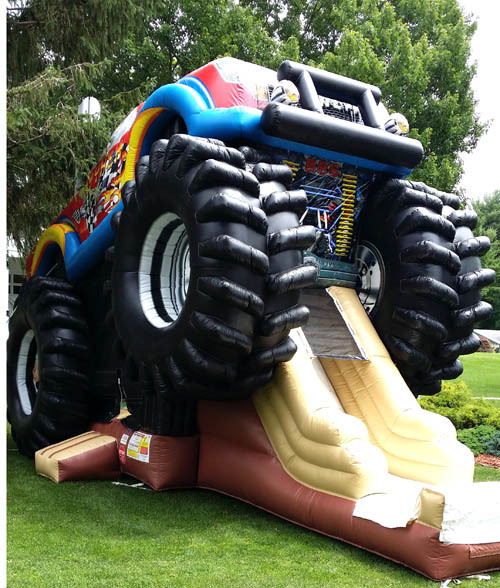 This is perfect for the “Motor-Head” fans at your next event. 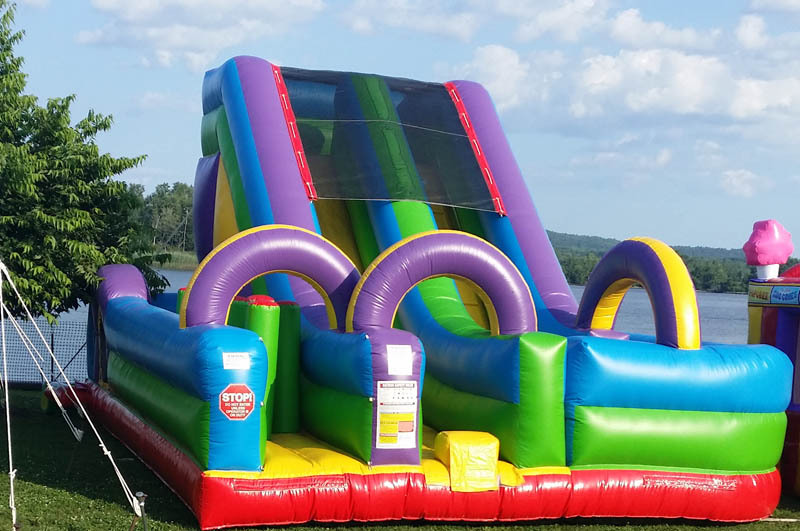 This crusher bounce & slide combination is over 33ft long and stands 18ft high! This beast is sure to make a big impression on your guests. Argh, matey! 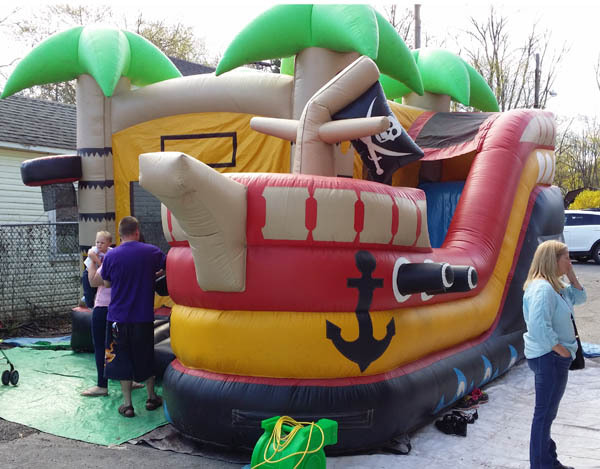 Prepare to board this fun and exciting combination inflatable bounce house and slide. Styled with a pirate theme, we've captured the essence of life on the high. Spongebob has Patrick and Squidward with him. 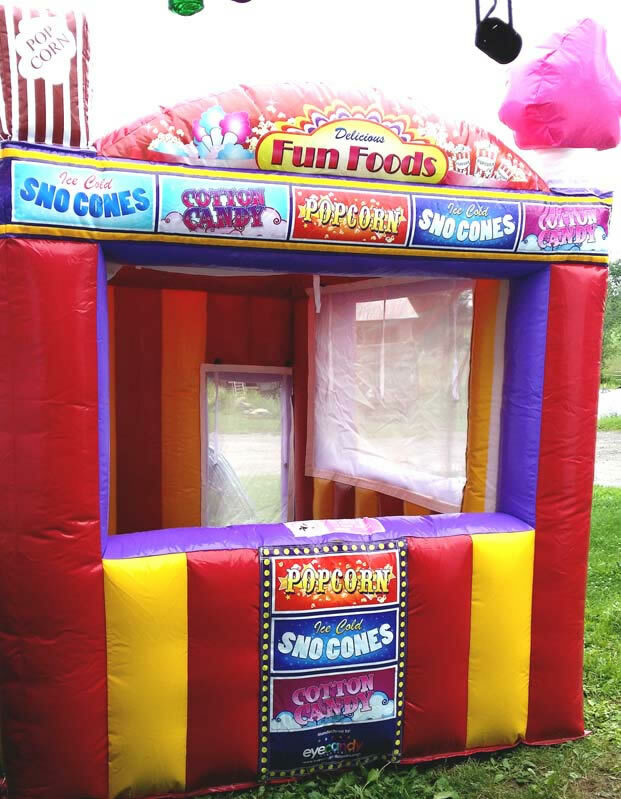 Jump-Slide-Go Thru the squeeze tube or shoot at the basketball hoop inside! This will keep the kids busy for hours on end! 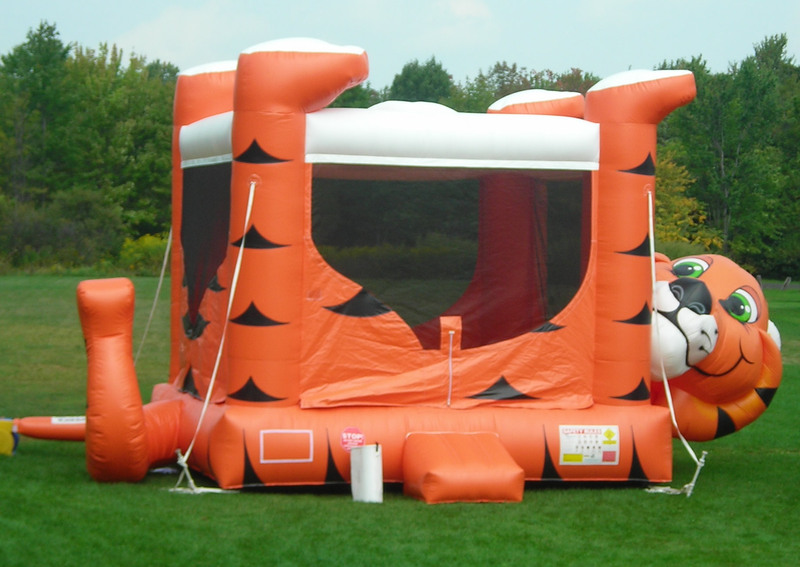 Ever want to bounce on the belly of a tiger? Well, now you can and the tiger doesn't mind. But be careful, he is a bit ticklish! 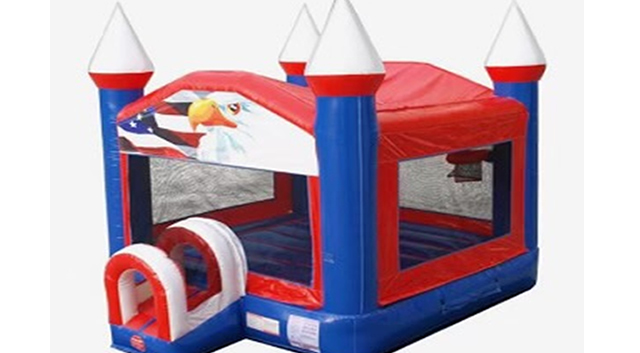 This is a large bounce house and works great for large parties so kids don't have to wait their turn. 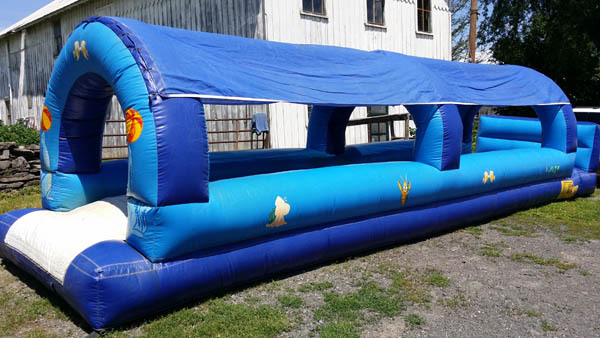 Battle the heat and get soaked on this 32’ slip & slide. The fun never stops, guests race down the slide into a pool filled with cool refreshing water.